3-Strand multi-filament polypropylene rope is a 3-strand twisted floating rope that is very easy to splice, lightweight and strong. It's apperance is very similar to polyester rope. 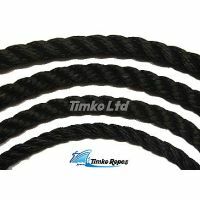 We supply this in navy blue and black in 10mm, 12mm, 14mm & 16mm. 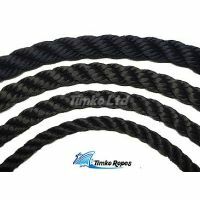 It is very popular for mooring lines, anchor lines & fender lines but can be used for a whole range of applications. It can also be know as 'polysoft' or 'softline' rope.